Having read the above titled article written by ‘An Insider’, published in the Sunday Island edition of 10 April, this writer wishes to comment on a few issues. However, this is not an attempt to counter or support ‘An Insider’s’ assertions. From 1994, it was the desire of the Head of State to privatize then Air Lanka to relieve the Treasury of the burden of a loss making airline. Emirates or for that matter, any other company did not come on bended knees and plead for Air Lanka to be sold to them. They responded to a Bid Document published by GoSL. Two airlines responded; Emirates with an offer to invest in the airline and Continental Airlines with an offer to manage the airline without capital infusion even though Bid Document specified capital investment. Management contract for Emirates was a subsequent development. It was a Hobson’s choice for GoSL. It had to accept Emirates’ offer of USD 70 million in return for 40% equity and an opportunity to save millions of dollars for the Treasury during the next decade, allow Continental Airlines to manage the airline and continue to underwrite losses in case they were unable to turn around the airline or carry on as before and keep on subsidizing the airline. The then Head of State and Deputy Minister of Finance, notwithstanding objections by the rest of the Cabinet of Ministers, accepted the Emirates offer. It is a matter of public record the Treasury did not dole out any money to the airline from 01 April 1998 till 31 Mach 2008. GoSL achieved its primary objective. The six Airbus A330 aircraft initially ordered by Emirates and transferred to Air Lanka were brand new aircraft. The transfer was made based on the same price agreed by Emirates. They were initially ordered to suit Emirates operations between Dubai and Europe (generally 6 – 8 hour flights) with a full passenger and cargo payload. They were transferred to SriLankan Airlines in order to implement the Business Plan developed by Emirates for the national carrier. The aircraft, though suitable for service between Dubai and Europe did not have the range for flights between Colombo and Europe or UK (10 – 12 hour flights) with a full passenger and cargo payload, throughout the year. It resulted in SriLankan Airlines having to operate with a restricted payload to European destinations during certain times of the year, which meant reduction of cargo carried in such flights. On the other hand, the alternative would have been to order new Airbus A340 aircraft meaning a longer waiting period. But more importantly, the leasing companies had a major concern. 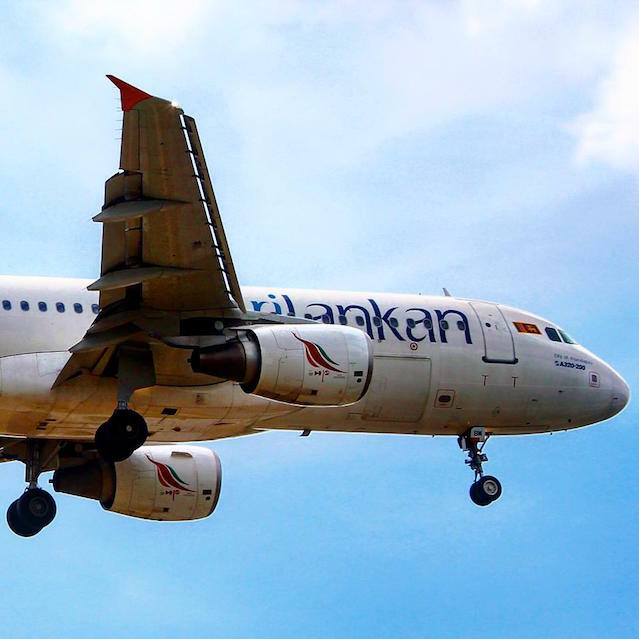 How would SriLankan Airlines, with its disproportionate dependence on tourism be able to pay lease charges in the event of a major escalation of the ongoing civil war, resulting in a major drop in tourist arrivals? GoSL did not involve itself in these negotiations. Emirates guaranteed they would withdraw the aircraft, deploy them in the Emirates fleet and take over lease payments. It was accepted by the leasing companies. In the light of this guarantee, Emirates decided to have interior designs, In-flight equipment and most colour schemes inside the aircraft similar to theirs, a decision which cannot be faulted. After all, it was they who carried the financial burden, in case SriLankan Airlines were unable to pay. Emirates would not have given such a guarantee for Airbus A340 aircraft. It may be of interest to note, the first Airbus A340 with four engines took to the skies on October 25, 1991. Airbus officially announced the end of the aircraft in November 10, 2011 due to ‘changing market dynamics’ (aka no orders). Emirates never operated a single A340 in their fleet. Qatar Airways bought only 4 such aircraft. A340 aircraft operated by SriLankan Airlines were banned from European Union skies a few years ago. Peter Hill worked for British Airways from the 1960s till 1972, for Gulf Air in Bahrain till 1978, for DNATA in Dubai till 1985 and finally for Emirates in Dubai till 1996 when he resigned and went to UK to manage his private business. That said, he was by no means the best or the worst CEO to have worked for the national carrier. The CEOs have been John Flemming (American) 1988/89, Andrew Grey (British) 1998 (a few months), Peter Hill (British) 1999/2008, Manoj Gunewardena (Sri Lankan) 2008/11, Kapila Chandrasena (Sri Lankan) 2011/15 and incumbent Suren Ratwatte (Sri Lankan) October 2015 to date. John Flemming was brilliant but did not understand the local culture. He would, on occasion, place his feet on the Chairman’s desk during discussions. Andrew Grey was a clever CEO but called a group of Pilots ‘Monkeys’ during a heated argument. Peter Hill may have been an average CEO. However, it was his leadership combined with the resilience of SriLankan Airlines staff which held the airline together, after the terrorist attack on July 24, 2001 when 6 out of 12 aircraft in the fleet was put out of commission. This writer and another colleague took up with Peter Hill, the issue of then Chairman granting upgrades to passengers we had declined. Peter Hill explained to the Chairman he did not have executive authority to do so. Managers did not face such situations thereafter. 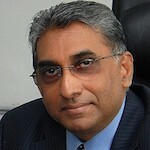 Manoj Gunewardena did not make any waves but had to be moved out for the Airbus deal to move forward. Whatever may have been his faults and of his half sibling, he would not have involved himself in such a heinous deal. Manoj Gunewardena once pointed out Chairman Nishantha Wickramasinghe, he lacked executive authority to make certain decisions. The outcome is now history. The less said of the remaining two CEOs, the better. Initially, this IT expert headed the IT Division. He headed the team handling the challenges of introducing IT systems and procedures, virtually non-existent in old Air Lanka. He also provided the leadership to overcome Y2K challenges in 2000. His transfer to Service Delivery, to replace the previous Head of Service Delivery who had to leave in a hurry, was inexplicable and unpardonable, justifiable only by Peter Hill and his bosses in Dubai. Rightfully, a person with requisite qualifications and experience should have been promoted internally or recruited externally. Prior to privatization, only Pilots, Cabin Crew and Ground staff were able to obtain employment overseas (in the Middle East). Today, there are many Sri Lankans, who started with the national carrier now employed in management positions with airlines in the Middle East and elsewhere. The Marketing Division of old Air Lanka had a Computer Section. All departments had allocated computer time for the use of the limited number of PCs. Not even Department Heads had their own PCs (most of them did not know how to use one either). This changed overnight when Emirates management purchased 1,500 computers. Most staff above Officer grade received PCs which helped enormously in self learning. In addition, different software programs and analytical tools introduced helped improve the knowledge base of staff, unthinkable during Air Lanka days. Even aging Managers, on the verge of retirement, learnt to type emails using a PC and key board! A profit of Rs 4.4 billion was declared in 2008, the exit year of Emirates. It was by way of sale of aircraft and other assets and not due to the success in the airline’s core business of transport of passengers and cargo. Many critics condemn Emirates for this act. It must be borne in mind, a sale of that magnitude required approval from the Board of Directors, without which the managing agent Emirates could not have proceeded with such a sale. Majority Board members were from the majority shareholder, namely GoSL. Therefore, the blame for a faulty decision, if any lies not with Emirates but elsewhere. When viewing any privatization exercise, it is essential to understand, no investor, airline or otherwise will come to this country for investment purposes due to any love for Sri Lanka, Sri Lankans, Sri Lankan Airlines or any other industry. They will do so only if they see an opportunity to enhance their investment. Privatization of state owned enterprises become a necessity when they are loss making. Bidders will field professional negotiators and will invariably drive a hard bargain. They will attempt to beat down the purchase price as much as possible. They cannot be faulted. It is up to our negotiators to negotiate the best possible deal but not drive away the Bidders in the process. Investors can find other countries to invest their money if Sri Lanka is not deemed attractive. But state owned enterprises will remain a burden to the Treasury unless a suitable investor is found.